VOX and its partners produce numerous publications, and you’re welcome to read these to learn more about mental health issues and the issues that matter to our members. VOX has produced numerous research papers on mental health and issues that matter to our members. Knowledge is power, so please feel free to browse the documents below and contact VOX if they inspire thoughts or queries. VOX SCOTLAND consultation response to Public Sector Employment. VOX stays in touch by producing regular newsletters, so feel free to read through our most recent editions…. and don’t hesitate to contact us if you have any ideas for future copies – we like to cover the issues that matter to our members. Learn more about our recent work by reading any of the VOX Annual Reports listed below. 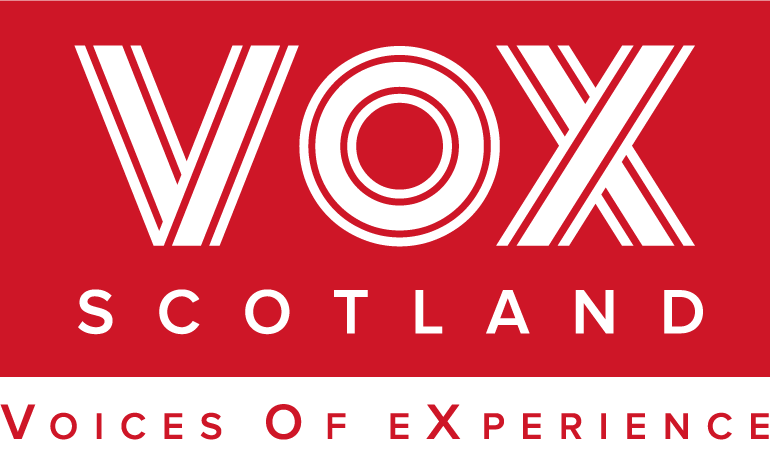 VOX Collective is a group of lived experience/service user lead organisations from across Scotland that have come together as group members of VOX. Whas a good working relationship with Highland User Group (based in Inverness) and we’re pleased to make some of their feedback and consultation documents available. You may not agree with everything HUG members say but there’s certainly plenty of food for thought here. Please feel free to read through any of the documents listed below – they all have something interesting to say about mental health and please let us know if any other documents should be listed here.